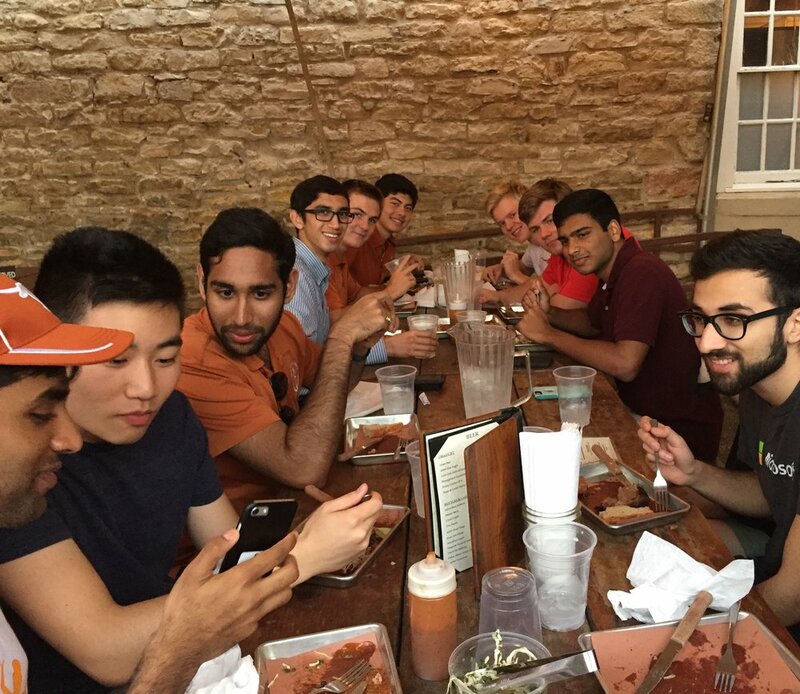 In the middle of West Campus, among the burnt orange game-day wear, Freedmen’s provided plates of yummy barbecue to HBA students and BHP 2015 alum Neal Makkar. Between passing around plates of brisket, pulled pork, and house-made sausage, Neal answered questions about his various projects at McKinsey & Company and told stories about his time at UT. Everyone had a great time getting to know and learning from Neal.